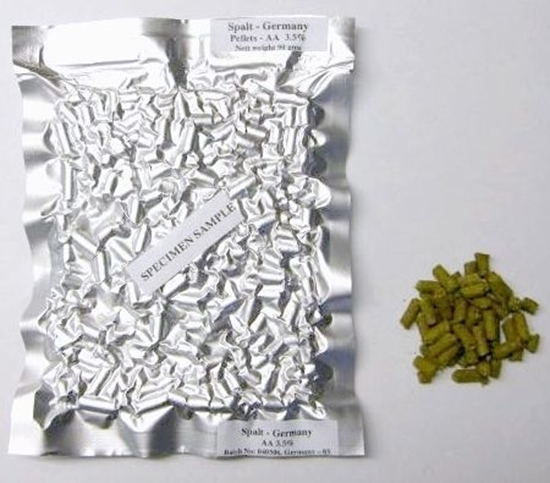 Azacca (Formerly ADHA 483) from American Dwarf Hop Association (ADHA). It is named for the Haitian god of agriculture, is a hop big in citrus and tropical fruit tones. It’s excellent aromatic qualities have quickly made Azacca a go-to hop for late and dry hop additions in varying styles of beer. Bigger is not always better. The American Dwarf Hop Association is a group dedicated to reinventing growing practices to adapt to the world in which we live. Greater awareness of our constantly changing environment and our impact upon it necessitates more responsible stewardship of our land. We believe the legacy left behind when we are done farming should not be negative. The ADHA is dedicated to making a difference. We are working to find solutions to the challenges presented to farmers by the global nature of our world in the 21st century. Our organization has members in Washington, Oregon and Idaho. We're looking for solutions to increasing costs associated with labor, fuel and management. It also means moving toward a greener and more sustainable approach regarding the chemicals used on the farm. ADHA invests in research and development of new hop production techniques and varieties that can be used in low trellis production. We evaluate existing traditional varieties for their performance on low trellis systems while also experimenting with dwarf varieties specifically created for low-trellis production. Often times, being environmentally friendly and profitable can be goals that send companies in opposite directions. We believe this doesn't have to be true. The ADHA encourages the development of viable green practices for hop production. We would like to reduce the impact of hop farming on our environment while maintaining profitability for the grower. Experimenting with low-volume spraying methods, using proven equipment and techniques from other industries and discovering management practices that enhance the benefits of low-trellis are all ways the ADHA is working toward a more viable future for low trellis and dwarf hop production. The future of Low Trellis hop production not only rests on new Low Trellis varieties but on brewers accepting these varieties in their brew kettle. The ADHA feels Low Trellis hop production has come full circle. While the circle is not complete we feel it is closer than ever and the dedication of the ADHA on closing that circle will bring Low Trellis Hop Production to the main stream of hop production.